A few months ago, Barna, who lives in a major U.S. city and requested that her real name not be revealed, received an odd message from her mother, who lives in China. Barna’s mother asked her to send her U.S. car license plate number, her phone number, her U.S. bank card number, and a photo of her ID card. Barna’s mother said China is creating a new ID card system that includes all Chinese, even those who are abroad. [post_ads]Since her mother was located in China and they were talking via WeChat, a Chinese chat app permitted by China’s internet regulator since it gives authorities access to messages and phone calls, Barna knew that their conversation was likely being monitored. So she told her mother that she did not have a car in the United States and that she only uses her Chinese bank card, though her mother knows this isn’t the case. In recent months, many other Uighurs living in the United States have received similar demands from Chinese authorities, relayed by family members back in China who were paid official visits from local public security bureau officials. One Uighur living on the east coast told The Daily Beast that Chinese police had demanded a copy of the individual’s employment contract with a university; another was told they had to provide a letter from their academic supervisor. If they don’t comply, these Uighurs know that their relatives may be detained. There are about 10 million Uighurs in China. Uighurs are a Turkic-speaking, largely Muslim ethnic minority concentrated in China’s northwestern region of Xinjiang. In recent decades, a low-level insurgency in the region has brought occasional violence, and in 2009 ethnic riots there killed hundreds. Beijing accuses Uighur separatists of religious extremism and has launched a shocking campaign of religious and cultural repression that has dramatically escalated in the past year and a half. Anywhere between 100,000 to a million Uighurs or more have been herded into extrajudicial concentration camps in Xinjiang; exact numbers are extremely difficult to assess, as the Chinese government tightly restricts access to the region and has not acknowledge the camps’ existence. In the camps, Uighurs are forced to renounce Islam, to memorize Chinese Communist Party (CCP) propaganda, and to swear allegiance to the party. In some Uighur villages, up to 40 percent of the population has disappeared. Chinese authorities have also recently embarked on a campaign to build crematoria in Xinjiang. 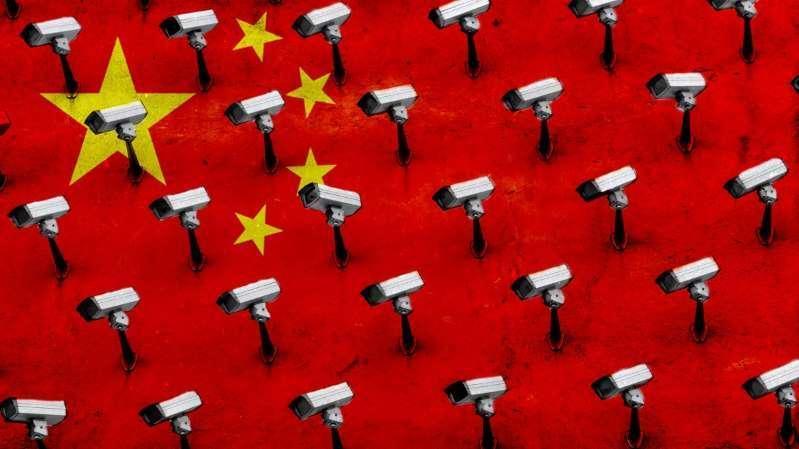 At the same time, Beijing has been constructing an experimental high-tech totalitarian regime in Xinjiang. They’ve lined the streets with security cameras equipped with facial-recognition software, created a region-wide DNA database of all residents, and implemented a rating system encoded in every person’s ID card, categorizing the individual as “safe” or “not safe” based on criteria including how often the person prays. These technologies, first tested on Uighurs and other ethnic minority groups, are now being exported to countries like Pakistan as part of China’s “safe cities” project. As a result of the growing oppression, many Uighurs have tried to flee abroad. But Beijing has launched an unprecedented global campaign to get them back, or to monitor them where there are. China has used its geopolitical clout to repatriate, forcibly if necessary, Uighurs living or studying in countries from Thailand, Egypt, Turkey, and even the United States. Of those who returned to China, many immediately disappeared, presumably into one of the camps. China also recruits Uighurs living abroad, as detailed in a Buzzfeed report in July. Now, Beijing is seeking to create a detailed database of those who haven’t returned. “The totalization and securitization of information in China, and then the globalization of that reach, is most apparent with regard to the Uighurs but is by no means limited to Uighurs,” he said. The growing human rights crisis in Xinjiang, and China’s expanding campaign of control and harassment abroad, has attracted growing attention from U.S. lawmakers and human rights groups. On July 26, the Congressional-Executive Commission on China held a hearing on the crisis there, and lawyers and activists are pushing for the U.S. government to levy sanctions under the Global Magnitsky Act on the Chinese officials directly responsible for the concentration camps. For Uighurs living in the United States, demands from Chinese police thousands of miles away serve as an unwelcome reminder that nowhere, not even the United States, is free from the long arm of the Chinese state.